Fossil fuel companies are behind disinformation campaigns about climate change. When will MIT and other universities finally cut financial ties with them? The fossil fuel industry has a proven track record of funding and orchestrating climate science disinformation. For nearly 30 years it has worked to deliberately confuse the public, slander scientists, and sabotage science. 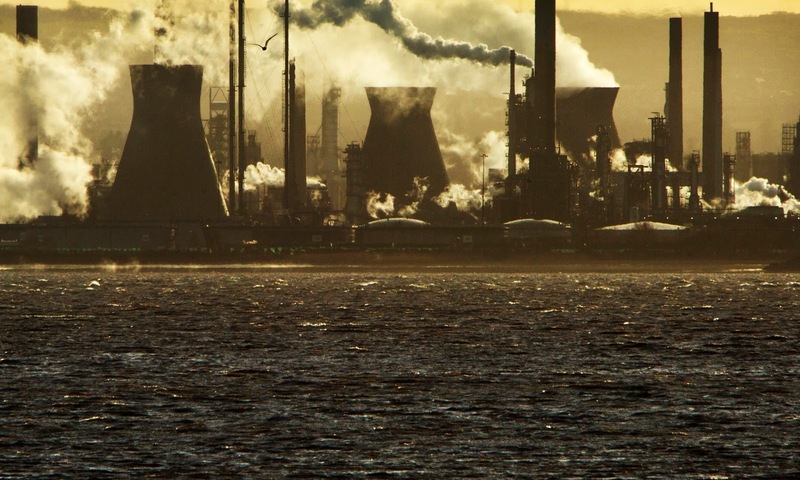 A new study last month from The Union of Concerned Scientists, founded by Massachusetts Institute of Technology professor Henry Kendall documents how many fossil fuel interests continue this pattern, years afterpromising to quit. So why are universities like MIT financing these doubt mongers, who undermine the integrity of science and our very raison d’être: truth and knowledge? I started doing renewable energy research when I was in high school, and have always believed in the power of science to make the world a better place. But 10 years later, as I come to the end of my PhD in materials science and engineering at MIT, I’m starting to wonder. Working in the lab each day, trying to build better solar cells and brighter LEDs, I’ve realized that while MIT is fighting climate change with one hand, it is feeding it with the other - investing hundreds of millions of dollars in the fossil fuel industry. When will it stand with science by divesting from fossil fuel companies that undermine it? Climate science denial is as clear as the science itself. This month, The Merchants of Doubt - a film based on research by Harvard science historian Professor Naomi Oreskes and co-author Erik Conway - exposes the fossil fuel lobby’s self-described “win ugly or lose pretty” tactics, drawn straight from Big Tobacco’s playbook. ExxonMobil is Exhibit A. Between 1998 and 2012, it channeled more than $27m to 66 organizations that challenge the scientific evidence of global warming. Among them is The Heartland Institute, which in 2012 ran a billboard campaign likening people who accept climate change to terrorists and serial killers. In 2002, ExxonMobilpledged $100m to Stanford, then ran an advertisement in The New York Times carrying the university’s seal thatsuggested “there is a lively debate” about the reality of global warming - though there is no such thing. These days most firms publicly endorse mainstream climate science and insist the deception is over. Yet the campaign continues, with funding for climate change deniers oftenfunneled through third party foundations as untraceable “dark money”. This February, it was uncovered that ExxonMobil, Southern Company, the American Petroleum Institute, and a Koch foundation paid climate deniers’ poster child, Harvard-Smithsonian “scientist” Willie Soon, $1.25m over the last 14 years for “deliverables” of climate denial, including scientific papers and congressional testimony. In response, three US senators have sent inquiries to 100 fossil fuel companies and NGOs to investigate “denial-for-hire operations”, and a US representative has written to seven universities, including MIT. Politicians are another powerful megaphone for climate contrarianism. On average, a congressional climate denier receives quadruple the fossil fuel contributions of a non-denier. Senator James Inhofe, who has repeatedly described global warming as “the greatest hoax ever perpetrated on the American people” and comparedenvironmentalists to Nazis, has taken $1,757,071 in contributions from the oil and gas industry. Fossil fuel interests increasingly supplement disinformation with insidious, defeatist, and self-serving misinformation: decades of fossil fuel burning asinevitable for human prosperity; renewable energy expansion as “difficult - if not impossible”; and climate regulation as “highly unlikely” to sway business-as-usual. The American Petroleum Institute’s spending on advertising - more than $400m between 2008 and 2013 - dwarfs that of other trade associations. The impact of disinformation is devastating. In her study, “Deep freeze: How business has shaped the global warming debate in Congress”, MIT Professor Judith Layzer found that “The industry [disinformation] campaign was extremely effective at deterring presidential leadership”. The Bush administration directly credited an Exxon-dominated coalition with playing a key role in America’s rejection of the Kyoto Protocol, and this January the US Senate rejected an amendment simply stating that climate change is real and caused by humans. As peer-reviewed analyses make clear, lack of political will - to establish a price on carbon and to end fossil fuel subsidies, for example - is now the bottleneck to tackling climate change. The Merchants of Doubt shows that while deep-rooted political ideologies usually underpin this bottleneck, disinformation tightens it, fueling scientifically unfounded debate, doubt, and denial that conveniently excuse political intransigence. Divestment helps to take away the excuses. By leveraging universities’ scientific reputations to stigmatize disinformation and delegitimize denial, we can help create political breathing room for meaningful leadership and legislation. With support from groups like the Rockefeller Brothers, Syracuse University, and theUnited Nations, and with the fossil fuel lobby visibly rattled, it already seems to be working. When MIT community members were asked in a recent crowdsourced Idea Bank how the institute can “most effectively drive forward the national and global agendas on climate change”, 16 of the 20 top-rated proposals were for divestment. Yet seven days before launching the Idea Bank, MIT signed a $25m deal with ExxonMobil. Not to mention the $185m the institute has taken from life member of the MIT board and disinformation bankroller extraordinaire, David Koch. As MIT sets about a multi-billion-dollar capital campaign, we will no doubt be courting Koch’s kind for more. 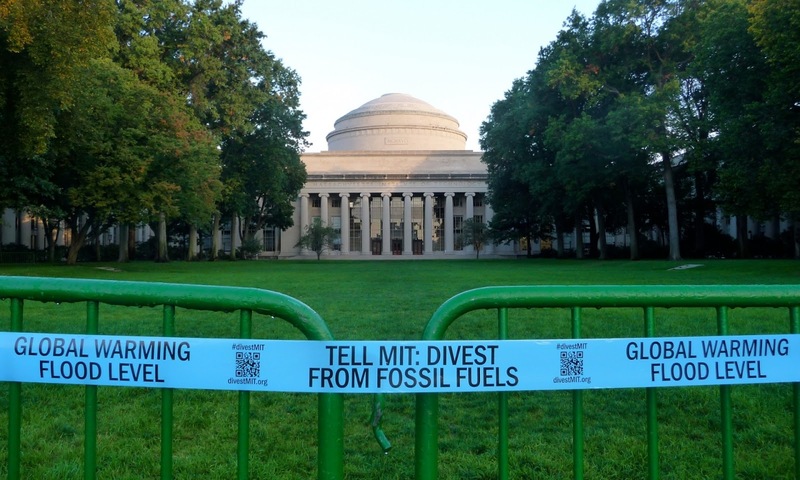 Confronted by such clear conflicts of interest, MIT and others must find the moral courage to make divestment part of the multi-faceted climate response that we so desperately need. We cannot possibly claim to be taking wholehearted climate action while simultaneously investing in the sabotage of climate science. We mustalign our money with our morals.